Malfunction have unveiled another track from their forthcoming full-length, Fear of Failure. Check out "Final Thoughts" at Substream Magazine. 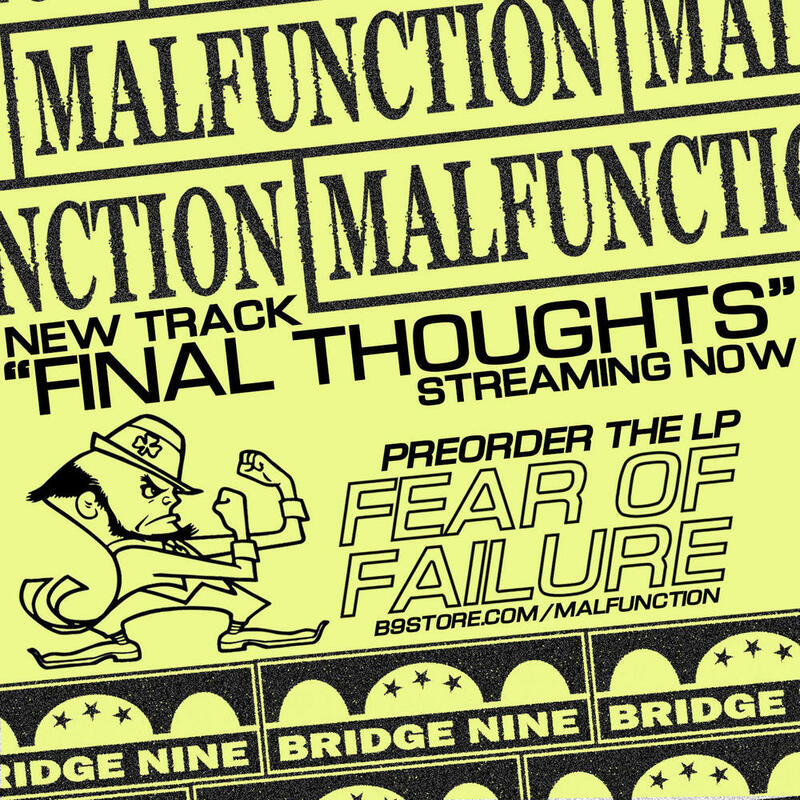 Fear of Failure is still up for pre-order at B9Store.com and will be out on November 20. The band will be supporting the record on Terror's The 25th Hour tour kicking off at the end of the month with Code Orange, Take Offense, and some great regional support acts. Check those dates out below.